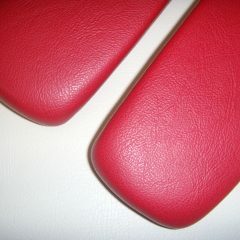 NEW DOOR ARMREST PADS,READY TO FIT THE PLASTIC RETAINER OF AN HD OR HR HOLDEN. RED IN COLOUR. MOST ORIGINAL COLOURS AVAILABLE.